Substitute teacher Ruth Reed was just trying to help the guy in front of her in line at the Medford, New Jersey, Wawa pay for his items. Reed told the man she helped that he looked like country music star Keith Urban. "It was then I realized what an idiot I was," she said. A spokesperson for Wawa said they were “thrilled” by the story. 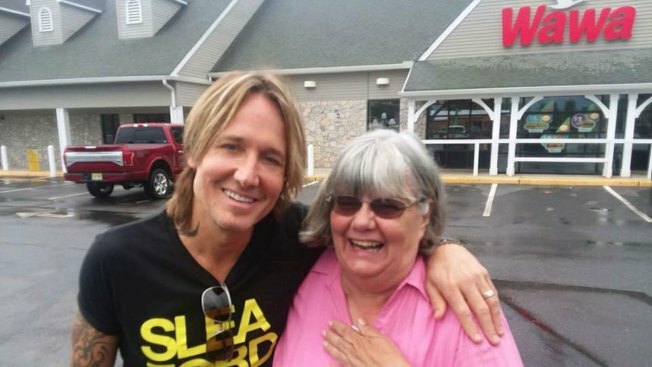 A woman who thought she was helping a down-and-out man pay for his food at a New Jersey Wawa ended up footing the bill for country music star Keith Urban. Not believing him, Reed asked his bodyguard to confirm she was talking to the musician. “It was then I realized what an idiot I was," she said. As the two talk family and music, Seth Meyers reminisces on a "connection" he felt with Keith Urban while he was on "American Idol" after Urban cried over a song done by Kelly Clarkson.